Don't wait to see this beautiful pool home! This freshly painted 4 bedroom 2 bath home has RV drive through parking, a good size lot, and updated features. As you enter the home you will notice the open style living area with an updated fireplace and view to the backyard through the newer sliding glass door. The master has laminate flooring, updated paint and newer dual pane windows. Also it has its own en-suite bathroom which has been completely renovated. On the other side of the home, you will find the guest bath that has a shower in tub feature and one vanity in a calming blue hue. You will find the other 3 rooms on this side of the house with upgraded windows as well. Each bedroom is a good size. The backyard has a gated pool, a concrete area out the back, and cabana for when you want some shade from the sun! Don't forget the RV area that can easily fit a 35' RV or boat with a gate on the other side for easy access. Yard also has a shed that stays with the property. 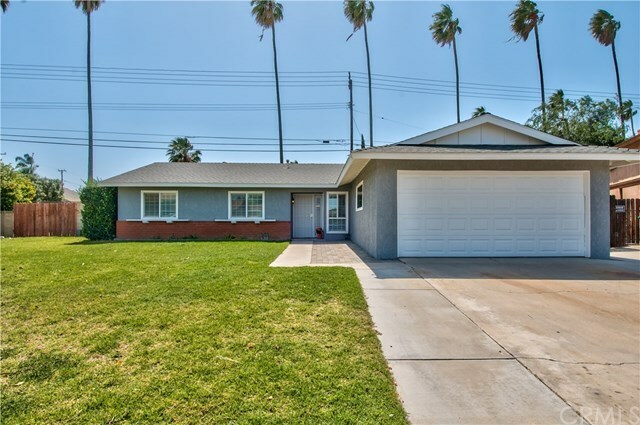 This cul de sac home is in an established neighborhood and will surely go fast!